With companies like Uber now valued over $60 billion USD and Airbnb at over $25 billion USD (yes, with a “B” as Dr Evil learnt the hard way) it’s clear that the sharing economy is not going to go away any time soon. As with any new and emerging area that has not yet been fully tested, there can be some pitfalls. Being a financial blog I would like to touch on just one of them that I have now had some direct experience with (thankfully not as a victim). Theft – What Are Your Valuables? It is one thing to open up your car to a passenger for a short period of time with Uber, but a very different thing to invite someone into your home, often without supervision, using Airbnb (or any similar company). Stating that sounds obvious, but I want you to start thinking about why. After reading that point, most people would start to think about being robbed (or having their possessions/property damaged), which is great, because that is exactly what I am talking about. However the theft I am focusing on is probably not quite what you are thinking. It would be hard to get a TV or fridge out of a house without being noticed when the owner returns. Even smaller items of any real value will probably get noticed before too long. They are also probably listed on an insurance policy (after checking the policy covers Airbnb guests – many do not apply to people you invite into your home). So after a small premium you will get compensated. Airbnb also has their million dollar Host Guarantee for additional piece of mind (after reading the fine print). So what if I was to tell you that one of your most valuable assets could be stolen from your home without the possibility of you noticing? Or that it could be stolen with minimal risk of getting caught, and sold with even less risk. If you are still wondering, I am talking about your identity. The Australian Federal Police (AFP), MoneySmart (ASIC), and ScamWatch (ACCC) all have some good general information on what identify theft is to set the scene. Before I go into more details, I want you to think about what an identity is. Is it your name? Date of birth? Drivers licence? Passport? Tax file number/social security? Or is it more subtle things, like the name of your first pet, or the last few transactions on your bank account? The truth is that an identity can be all, some or none, depending on who you ask. Just about every company has their own “proof” they require before accepting that you are you. For simple things this can often be just a username and password. Companies like Facebook have no need for your real first and last name, so they let you put almost anything you want. 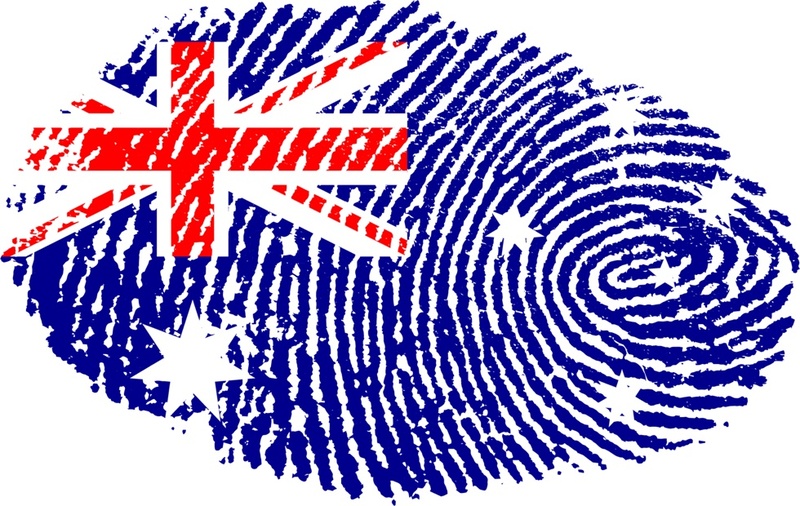 On the other end of the spectrum are Banks and the Australian Government who can require lots of proof before opening your account or giving you an identification document. Looking at the high-end, banks typically require what they call 100 points of ID to open an account in your name. One method to achieve those 100 points is with a birth certificate and a utility bill. Now stop for a second and think about what you leave at your house when you are out shopping or traveling. You may take a passport and drivers licence, but how many of you leave your birth certificate and utility bills safely filed somewhere at home? Lets have a look at another example of an identity. You have just opened a new online savings account. After saving hard for a while you just hit $10,000 in your online savings account or term deposit. Just after reaching this milestone your favourite child’s car dies while you are on holiday. You want to transfer some money to them, but don’t have access to online banking. Thankfully your bank wants to provide excellent service to you and offers you a myriad of methods for transferring your money. 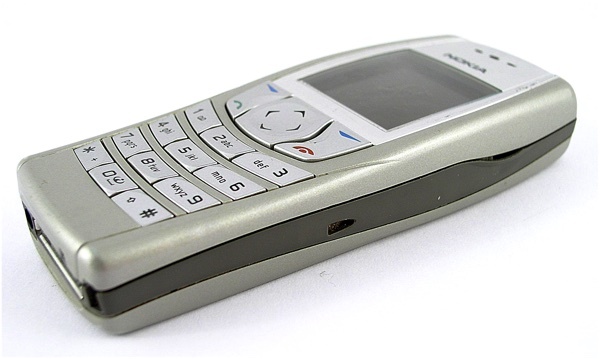 One of those methods is telephone banking – which is great because on this holiday you forgot your multiple smart phones and grabbed an old Nokia mobile! You call the bank and transfer the money… or did you? Have you ever wondered how the bank employee on the other end of the phone knows if you’re really you? What sort of questions do they ask you? Especially since they have never met you before. There are other questions a bank can ask, but how much of the information they could use to identify you is just sitting around your house. What’s worse (for your identity) is that the people on the other end of the phone call are often customer service representatives. These people are trained to put customer experience first and to be as helpful as they can. Unfortunately this can sometimes mean helping the customer, even when they are unable to answer some of the questions. After all, the customer is always right. Now what if the attacker decided to combine the information from your house and the “helpfulness” of the customer service rep with other sources. They may look for additional information in your computer files, your online social media, or even calling some of your friends or colleagues. You can build up a profile to answer most identity related questions quite quickly. They could even call you pretending to be your bank. The first minute and a half of the (amusing) video below shows just how easy it can be to get people to give up information about themselves when they are in a “helping” mindset. Fortunately there are a number of simple steps you can take to help secure your home from the guests you invite in. The following are very simple to do, and will potentially save you from becoming a statistic that gets reported to ScamWatch. The number of files and bits of information that you store on your devices is massive. Even a simple password will help prevent guests from having an opportunistic look into your digital personal life. Try and make sure it is not one they will guess. Locking your documents up in a filing cabinet or dedicated room is a simple way to prevent access to those hard copy documents that may otherwise be lying around. Before you open your house, have a quick look around all the surfaces and cupboards for any information you would not want a stranger to be able to access. If you find anything, lock it in the filing cabinet. Many mailboxes have the capability to be locked. A simple padlock will help deter would-be identify thieves from having access to any newly delivered information (or newly delivered credit cards). 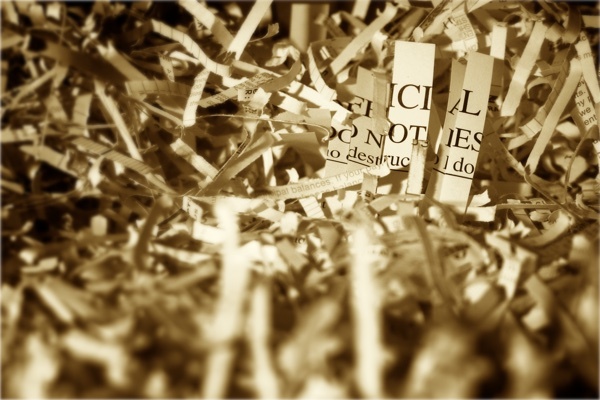 While not required if you lock up your files, a shredder will help to prevent documents being found/used by both house guests and other criminals when being disposed of. Consider getting a credit check or setting up a credit alert (these typically range from free up to $100 or so a year depending on what you get). This will help notify you if things change – this can be especially telling if you did not make any changes. Also make sure you check your bank statements for any unexpected changes, new charges or anything else that looks strange. If someone calls you, don’t be afraid to say you will call them back. Just make sure to use a number from the official company website and ask to be put through to them rather than using a number they give you! As the video above shows, you can’t trust the other end of a phone. Try to avoid putting information on social media websites that may be used to identify you. Have a look on Pipl, PeekYou, or Intelius to see how easy it can be to find information about people online. If you are after some good news, I have three things to pick up the mood of this post. Firstly, if you follow the steps above when renting out your house (or even just in general) you will be setting the bar much higher. Just as it takes only a few mistakes for your personal information to be accessible and used against you, it only takes a few precautions to make that job a lot harder. Those few precautions should make it hard enough for a would-be thief that they will move on to the next person or not give it a go at all. Secondly, the crime of identity theft is becoming more well-known. Previously many people would not know what you were talking about. You could go to the police and they would look at you quizzically. Thankfully these days the police, the government, the banks and even the public now know about identity theft. You see stories on TV about identity scams from time to time. Banks have entire divisions dedicated to identity theft and fraud. The government/law enforcement have even setup the Australian Cybercrime Online Reporting Network. That basically says that if you are not part of causing the loss, the bank will cover the loss. That should come as good news should you even wake up to find $6,000 (or more) missing from your account shortly after your Airbnb guest leaves. It’s good that protection exists but I find it very unnerving how some people are very relaxed about inviting other people into the main home. A holiday house sure, but the main home where all of those possible details can be found..Mm. Lots of good tips there Tom. With Facebook and all the other places people happily put certain details up on the internet, if someone really wanted to, they could get your details and do bad things. Tax File Number is another thing people really need to keep secret and safe, you can do a lot of damage with the TFN. Indeed, thankfully Australia seems to have some tighter restrictions on TFN, where as in the US it seems to be used as a unique ID for all sorts of things. Great article and one that is starting to become more important.. I must admit I’m probably a bit lax on this, although after listening to a few podcasts recently and considering how easy it is, I’d be keen to set things right..
Haha have an electronic shredder 😉 i.e. one to delete records online? That’s probably the biggest area of concern..
Btw still need to get round to emailing you man! Electronic shredder – I am sure many people wish one existed! Even if you do delete things that there are sites like the Way Back Machine (https://archive.org/web/), or even just Google cache that seem to save things forever! Time to invent one and become a trillionaire 😉 haha.. Yes the way back machine is a concerning tool for those who shall remain nameless have previously had blogs that may not have been so well designed! Looking forward to your next topic; they’re certainly unique! Ouch! That is a very good point about renting the home. The guests have a right to be there, and plenty of time to look through everything to get the information needed for identity theft. As for online information: back when the Internet was a shiny new new toy I was advised to never put my date of birth online. Twenty years later my correct date of birth is nowhere to be found online, not the correct date of birth anyway. If I must enter a date of birth on any site I enter an incorrect date. Indeed – my date of birth is normally quite vague when on the internet. I am sure I have messed up somewhere, but hopefully it will at least make it hard enough that they will choose someone else.